It's always nice when at Sunday the weather is warm and sunny and together with friends we can cycling outside the city. We planned to have a picnic to Chengene Skele Bay, where there is a small chapel of St. Nicholas the Wonderworker. We left for lunch from Burgas through the Protected Area Poda. After Kraimorie we drove by the inner road, then we entered a dirt road that runs along the coast. Wild ducks swam peacefully into the sea. I was going to continue shooting, but my friends were ringing because there were bad dogs on the road and I had to hurry. We arrived at the chapel that stood impressive on the high rock. 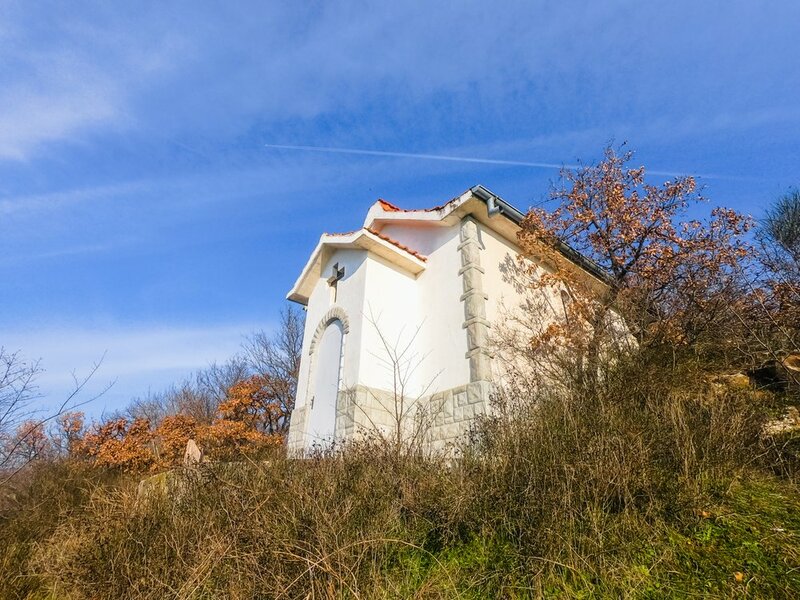 The chapel St. Nicholas the Wonderworker is located at the highest place in the village. It is unique, not only because of the view but because of the fact that the rock is built into it. Its strength and power are part of the beliefs of seafarers. Only truly brave people can enter into a battle for bread with this immense element - the sea. For the fish-filled boats, the beauty of this place, the proximity to the sea, and the fact that they return to land alive, the fishermen thank St. Nicholas the Wonderworker. Near the chapel there are fireplaces and wooden tables and benches where we have settled. We set a fire and after a short break I walked through paths that I had not yet passed. Chengene Skele Fishing Village is a unique settlement with its own appearance and identity built and preserved for the life and work of Marine people. There are no standard architectural solutions in the village, each building has its own appearance and performance with natural materials, matched with the spatial environment, climatic features, maritime activities. The sea, the canals, the boats, the houses, the people make this place unique. When I returned, a small frog jumped on the grass and stood beside the tires. I did not miss to shoot it. Before we left a friend had a flat tire and had to fix it. We went right down the sunset, whose beauty I share with you.